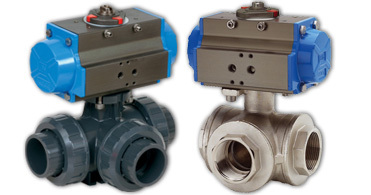 Three-Way Ball Valves available with 'L' and 'T' Porting, in both screwed and flanged designs. 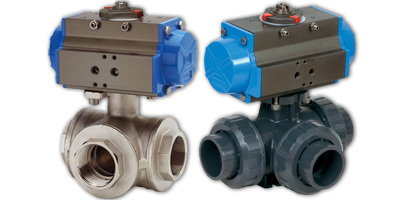 Single acting or Double acting actuators are available for many of the valves sold through Blupax in combinations to meet your needs. 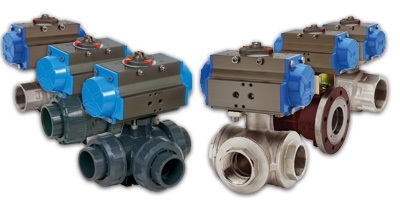 We quote Pneumatic actuation as our standard, however we are able to offer electrically actuated valves on request. Manufactured in Brass, Stainless Steel or PVC. Manufactured in Stainless Steel, Brass or PVC.